We’re going back to the 70s with this online slot by Wazdan, and there are fab flares, 5-inch heels, and afros galore. Get your groove on with Back to the 70s and start spinning those reels for some awesome scatters and bonus symbols, as well as having the chance to try Unique Wazdan features, such as Volatility Levels, Unique Gamble Feature. Back to the 70s is a five reel video slot that plays with ten paylines. The RTP is set at 96.47%. Have a go on the reels and play for fun or play for real money with the minimum bet starting from €0.2 and the maximum bet rising to €100. The 1970s are an unforgettable era in recent history. Following the mellow 60s, the 70s came about to shake things up a bit with the birth of disco, the glitz and glamour, and the widest pant legs history has ever seen. This online slot replicates the fun and excitement of the 70s, not only in the way it looks, but in its multiple game features, and this slot provider doesn’t skimp on the bonuses. Keep reading to find out more about this groove-tastic game. Just as people used to enjoy spinning on the dancefloor back in the day, players are given 10 free spins to enjoy, as well as an interactive extra which is placed at the beginning of the round to make the gameplay even more satisfying. There’s a chance for even more free spins within another bonus feature of this slot. As we mentioned in the intro, Back to the 70s has got Scatter symbols spinning on the reels, and you might ask what’s so special about these Scatters? If you land over three Scatter symbols, you will be shown a bar laid out with drinks, in the typical Martini and cocktail glasses that were so in vogue in the 70s. Each of these drinks is hiding a different mystery symbol underneath its stem, and the one you choose will end up being your bonus symbol for that round. Whatever you win during the game, whether it is a good win or not, will allow you to activate the gamble feature which is typical of Wazdan slots. Players are given the choice to use this intriguing feature, and if you do go for it, a DJ spinning on her decks will appear and all players have to do is to pick the next queued song. Get it right, and your wins are doubled, but get it wrong, and you will lose all your winnings and you will be taken back to the base game. Whoever remembers the groovy days of the 70s will be hit with a wave of nostalgia when looking at the symbols on the reels, from disco balls, vinyl discs, and towering platform heels. Each of the symbols has its own value, and there are 10 symbols that pay out real money, with low value symbols, as well as high value ones. The highest paying symbol is the Elvis looking character with his hair perfectly greased back and pink sunglasses; he can reward you with up to 250x your total stake. The shiny disco ball scatter symbol is the next highest paying symbol which can reward you with 200x your total bet. 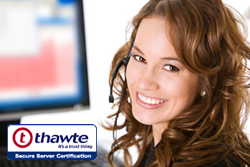 Next is the woman with the afro and bright green eye shadow which can reward you with 100x your total bet. The mid-range paying symbols are the coloured disco light and the cool pink headphones which will reward you with up to 37.50x your total stake. The lower paying symbols are the vinyl and cassette which will earn you up to 7.50x your total stake. The lowest paying symbols in Back to the 70s are the star sunglasses, the chunky red heel and the martini glass which will reward you 5x your total stake. 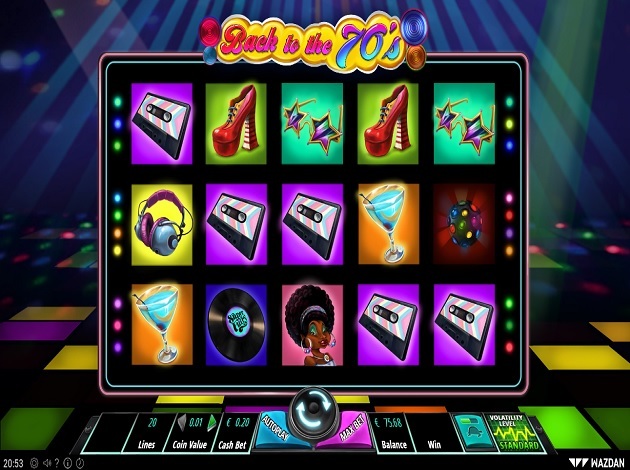 Everything you love about the 70s is here in this online slot, with all the disco balls, afro hairstyles and disco dancing that you can handle. Back to the 70s captures the fun and flares of the day, making this a hugely entertaining game for any groovy guys and gals out there. The background is of course a great big dance floor, with coloured tiles and flashing strobe lights. The reels take centre stage, lit up with disco lights, with the funky logo right at the top of the reels. The symbols are pure fun, groovy disco attire, bigger-than-life hairdos, platform shoes, and more, which will have you dancing in your seat in no time. The soundtrack will take you right back to those golden years, with some funky tunes to keep you bouncing as you spin the reels faster than a disco ball spins on the dance floor. If you’re looking for a fun, light-hearted game then Back to the 70s is right up your alley, and you simply cannot go wrong with the 70s theme, which adds an entertaining element to this online slot. Apart from the lively 70s theme, Back to the 70s has some great bonus features to keep players on the tip of their toes, together with Wazdan’s own unique features. This online slot has Free Spins and Bonus Icons to increase the value of your win and make gameplay quite exciting. Back to the 70s also has a Gamble Feature which gives players the opportunity to double their money if they wish to do so. The payouts in this online slot are certainly not disappointing with plenty of high value symbols to keep players happy. With the great-looking graphics and fun gameplay, Back to the 70s is a hit, so go ahead and play it for real money now at Videoslots.com. Wazdan is a young games provider with a fiery passion for games who produces games fuelled by imagination, experience, and knowledge of the iGaming industry. With a team of over 50 people and a portfolio of around 100 games, this is one company worth looking at. A company that claims to “live and breathe gaming”, you’ll certainly want to check out what their portfolio has to offer. Wazdan was created by a team of talented visionaries who came together through their passion for games. Their inspiring, talented team came together to give their absolute best, all in accordance with the values that the company operates by: creativity, innovation, and passion. Currently, Wazdan produces over 12 original titles a year, all made in-house. Wazdan’s portfolio consists of no less than 100 titles, with many more ideas in the pipeline. Their game library showcases a variety of online casino games which include classic titles, table games, and brand-new video slots featuring stunning graphics and inventive bonus features. All Wazdan games boast stunning graphics, impressive artwork ranging from realistic, to cartoon, and anime style, and inventive bonus features that will definitely intrigue players. Check out Magic Stars 3, Dracula's Castle and Magic Target Deluxe at Videoslots.com!